The Asian heritage is a huge thing to talk about or discuss. It is even the continent that has the biggest population. Talk about that! A lot of categories and sub-categories to specify. But when we see something, for example, in a living room, we usually associate them with a specific country where we think it was derived from. Like elephants remind us of Thailand, cherry blossoms remind us of Japan, Chinese bamboo are reminders of Pandas in China, and so on. When we recall Japan, we remember pillows on a wooden floor, but with this living room, the picture and carpet of cherry blossoms allows us to imagine modern Japan. 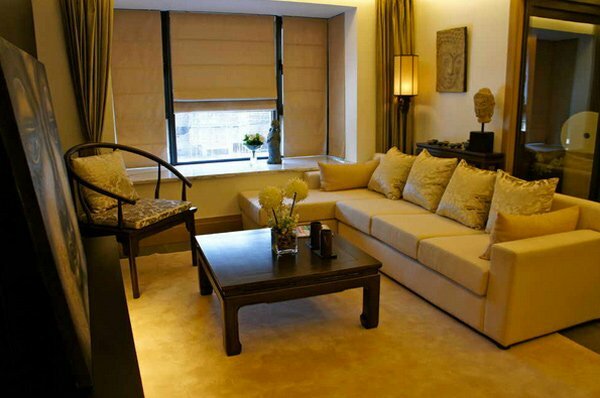 The use of wood is evident in achieving an Asian look, since Asia is rich in wood products. 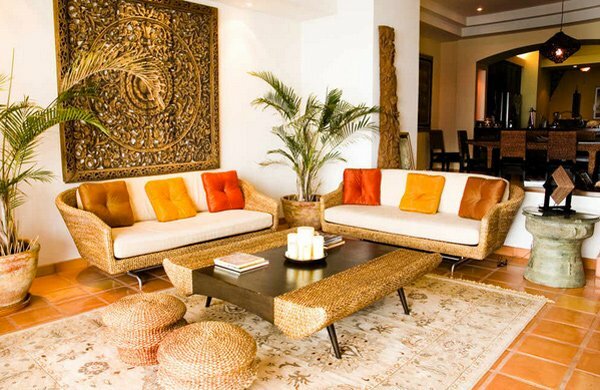 Don’t you just love the use of modern furniture combined with Asian memorabilia here and there? This room is a combination of Asian culture. 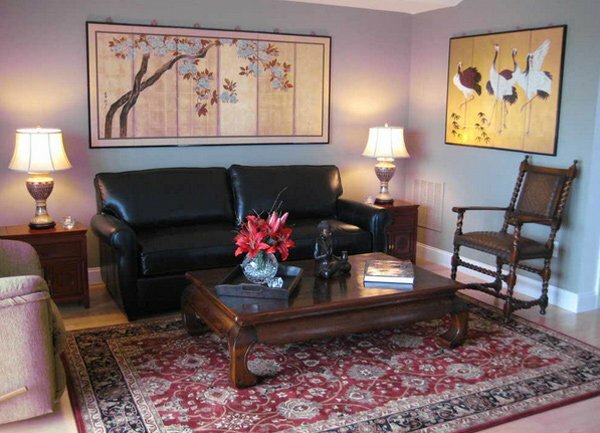 Somehow Japanese because of the wall decor and Thai because of the figurine on the table and Indian with the area carpet in the center. We’re not sure about you guys, but when we look at this picture, we recall China. What do you think? 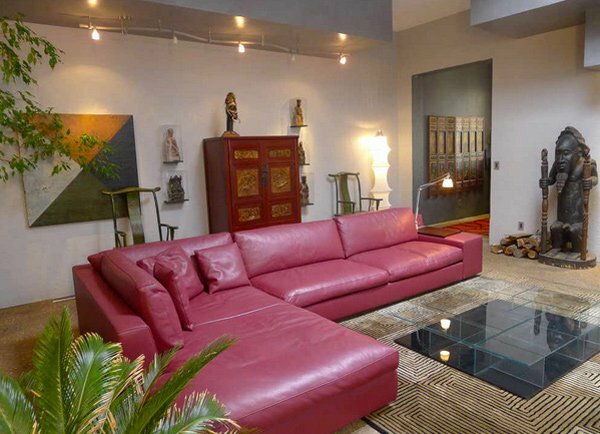 Aside from the living room sofa, we guess this room is filled with Chinese artifacts. 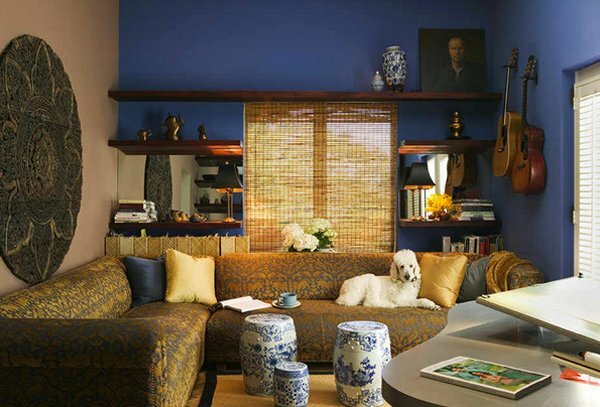 The blue walls match the Chinese vases, the sofa and the wall decor looks gorgeous! This is a living room in a New York home. 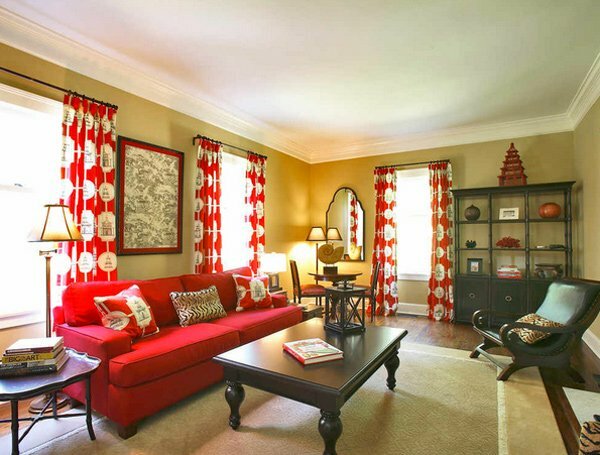 The pagoda prints on the drapes and the throw pillows match each other. 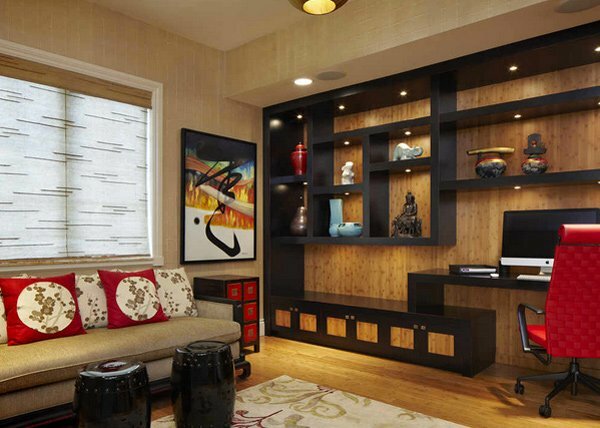 Decors on the cabinets and paintings show a Thai-inspired living room. 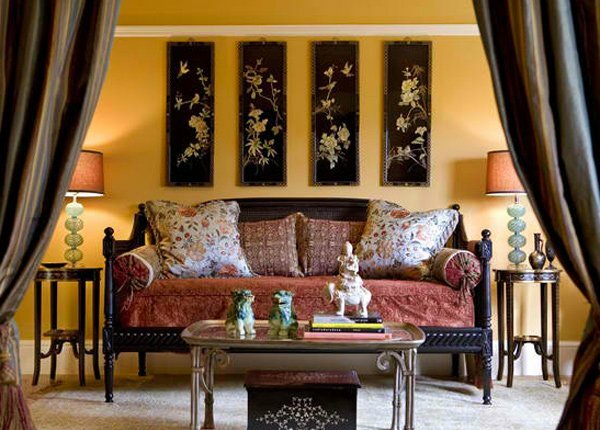 Notice the chinoiserie sofa bed on the side? Cool right? The vases and coin-like decor on top of the television console look like antiques. The vases and the wall decor look classy. We also love the painting that shows a Chinese character. 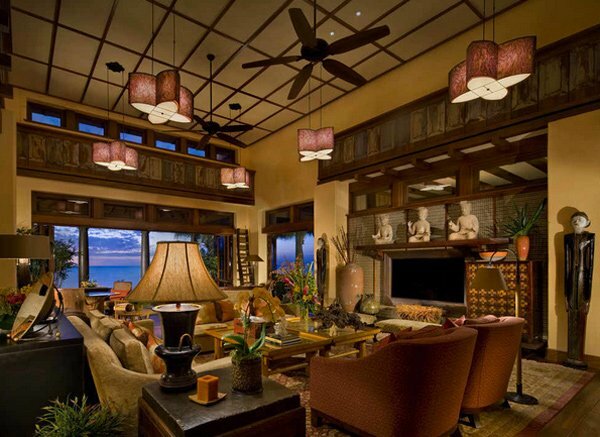 Wooden accents on the windows, Thai Buddhas on top of the console plus a great view, what more can you ask for? 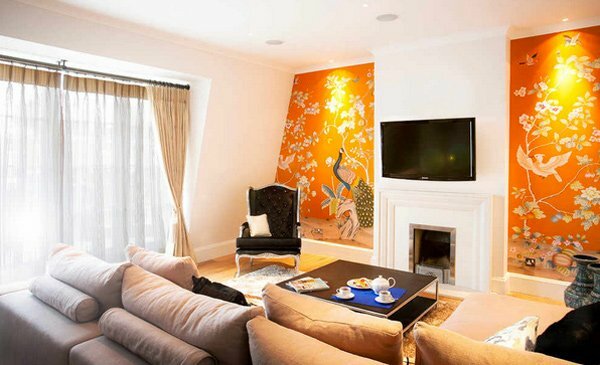 White colored room is beautified with the floral prints on the accent wall. A cool place to live in! Cool combination of Chinese and Thai heritage! Combo of Thai and modern design! Pretty wall decor right? 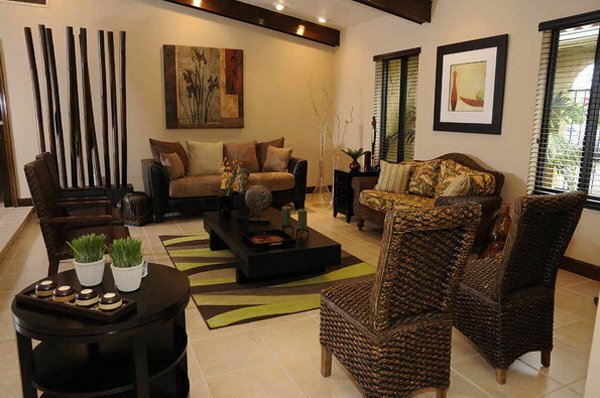 An inspiring way of see the world is through themed interior designs! We are so happy to have been able to show you these pictures coz it feels like travelling too. We get to learn a lot about their culture just looking at their photos. Modern day design need not to be contemporary but also themed! We sure hope you loved the photos like we did! 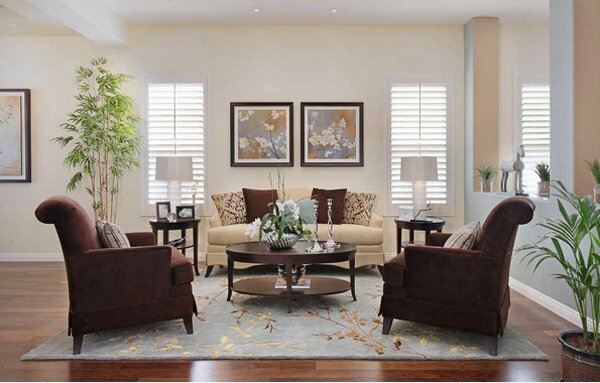 beautiful Asian living room designs – so cozy and cool!